Most work from home opportunities require you to type or talk on the phone. 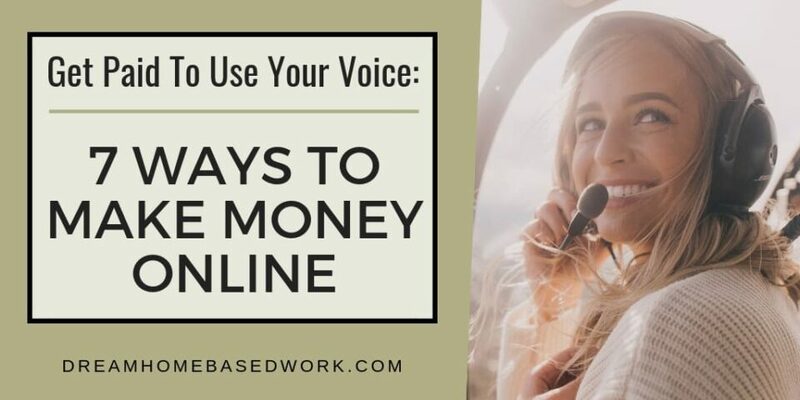 Did you know you get paid to use your voice online? Yes, it's true. 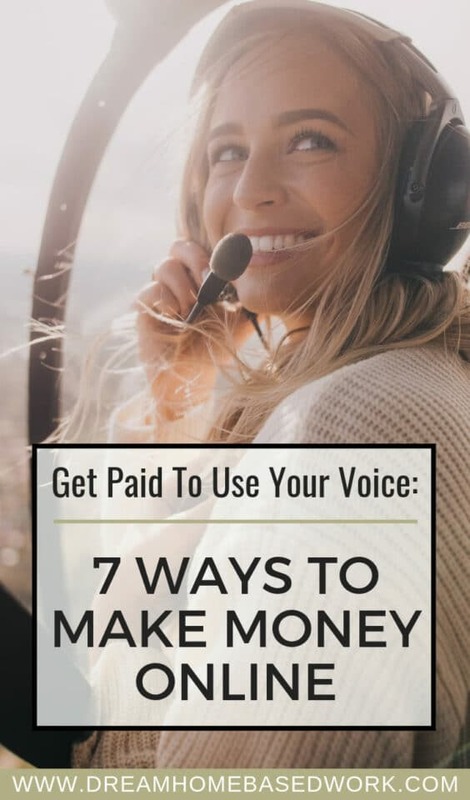 Whether you like to sing or do voice-overs, there are quite a few opportunities to get paid to use your voice online. Here are the best sites and opportunities to utilize so you can start making money fast. Upwork is a popular site for freelancers who specialize in a wide array of skills. While it's a great place to land freelance writing or design jobs, there are also a few opportunities for singers as well. Just sing up for the site and search for gigs you may be interested in. There are gigs offered for song features, producers, voice training and many other types of work that involve singing and using your voice. The price for each gig will vary depending on the work and who's hiring, but Upwork can be a great way to find singing jobs online or even recurring work. If you have a singing background, you can earn money by offering online singing lessons to students from all over the country. TakeLessons.com allows you to offer voice training lessons and classes that take place solely online. Just create a professional profile on the website that showcases your skills and abilities. Then, Take Lessons will handle the booking and payments for your students so all you need to do is teach. You'll have complete flexibility over planning your schedule so you can set appointments to teach students whenever you'd like. Has anyone ever told you that you had a great voice? Perhaps you can make money narrating audiobooks. ACX is a site that helps authors turn their books into audiobooks. Narrators who wish to get paid for audio recording opportunities can create a profile on the site, upload samples, and start applying for gigs. Ear Works is a media site that provides voice over services along with copying writing, video production, and audio production. They hire voice over talent for their client's projects. There are some location requirements to work with this company but you can learn more and apply here. If you feel you still need to work on your voice over skills, you can check out their resources page here. You can sign up for a free account or pay for a premium membership to get a better ranking profile allowing you to apply for more jobs. When you find opportunities you like, you can audition for them online by sending in an MP3 recording file. Voice.com pays well for voice over acting gigs. As shown on their rate sheet, you can earn anywhere from $100 to $2,000 per project. Snap Recordings is another voice talent site that is very similar to Voices.com. Talent can sign up for free, create a profile and bid on gigs. The only major difference is the type of work that is available. Snap Recordings generally provides opportunities to record voice messages for businesses that may be used for their phone system or other areas of the company. They have over 100 voice over actors who provide their voices for a variety of tasks for different businesses including greetings, messages on hold, and voice prompts. Voice Bunny is a voice over platform you can sign up for to find gigs in English and other languages or with different dialects. Voice talent is able to set their own rates. Clients find your profile and choose to book you. Applying for Voice Bunny is challenging because their requirements are strict, but it's worth a try if you're looking for flexible and profitable online voice over work and have experience. As you can see, it's very possible to get paid to use your voice and work from the comfort of your own home. Most of these sites provide freelance opportunities so you may want to try out more than one. You also get the freedom of being able to set your own schedule so you can do this work on the side as well if you wish.